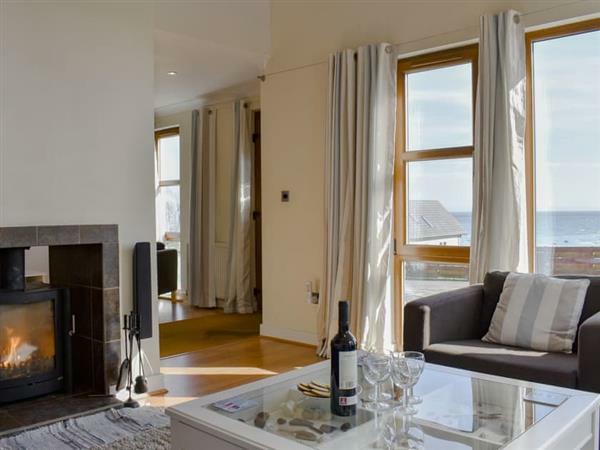 Springbank in Kildonan, Isle of Arran, Ayrshire sleeps 6 people. Springbank in Kildonan is located on the South End of Arran and looks out towards the sea and the small islands of Ailsa Craig and Pladda. 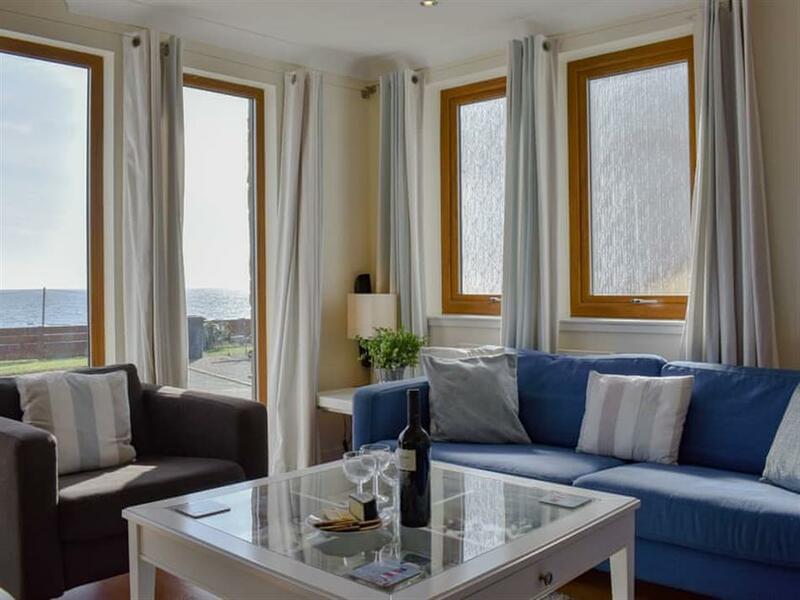 This coastal property is beautifully presented with a nautical theme throughout and is situated in a quiet cul-de-sac, giving guests a chance to relax in peaceful surroundings. The property has large windows and an open plan design across the three floors, bringing in plenty of natural light and giving a spacious feel. A double sided wood burner in the living area is perfect for the cooler months, making Springbank an ideal holiday home anytime of the year. Kildonan beach is known for sighting seals and other wildlife, making it a great spot for family picnics or even a dip in the water in the summer sun. After a day at the beach, children can enjoy their own space in the second living area which is set up with a TV, Xbox 360 and bean bags. The local hotel is just a few minutes’ walk along the shore front, where you can enjoy the food and drink whilst taking in the stunning seaside views. The village of Whiting Bay is 6 miles away and has many amenities including a shop, bar, restaurant, coffee shop, putting green, children’s play park and golf club. The beach is 100 yards from Springbank in Kildonan. With the shop 6 miles, and the bar & restaurant are ¼ mile from Springbank. Kitchen/dining room: Galleried with electric oven, electric hob, microwave, fridge/freezer, dishwasher, washing machine and tumble dryer. Study: With Smart TV and Xbox 360. Electric central heating, electricity, bed linen, towels, Wi-Fi and logs for wood burner included. Travel cot and highchair. Small enclosed lawned garden with patio and garden furniture. Private parking for 2 cars. No smoking. Please note: There are 12 steps leading to the patio and 5 steps to the lawned area with a sloping bank. For a better idea of where Springbank is, you can see Springbank on the map below. Do you want to holiday near Springbank (UKA457), you can see other cottages within 25 miles of Springbank; have a look to find your perfect holiday location.